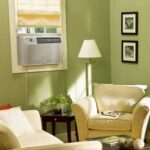 If your room or window air conditioner doesn’t cool or turn on, this expert guide to AC repairs will help. Most problems with window and room air conditioners can be categorized under a few symptoms: they do not cool sufficiently, they do not turn on at all, or they make noise. Here is a closer look at how to troubleshoot and repair these issues. 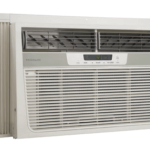 If your window or room air conditioner is beyond repair, be sure to see Buying the Best Window Air Conditioner or Room AC Unit. A window or room air conditioner that doesn’t cool may need to be recharged with refrigerant, but the chances are good it simply needs to be cleaned. The first step cleaning or repairs will be to at least partially disassemble the air conditioner. This video shows the steps for partial or complete disassembly. 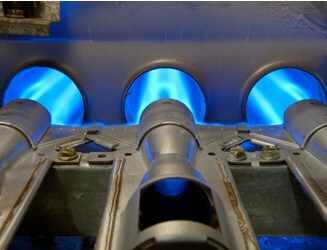 You can do this yourself, or you can call an air-conditioning or appliance repair professional. Before attempting the work yourself, consult your owner’s manual and make sure you have the right skills and tools to handle the task. If you can’t find your air conditioner’s manual, search for one online, using your air conditioner’s make and model number. 1 Unplug the unit and carefully remove it from the window or wall. If you just intend to clean the filter, you should be able to remove the grille and the filter without uninstalling the air conditioner from the window. Many grilles just pop off. If you have to uninstall the unit to work on it, do so and put it on a sturdy work surface. 2 Remove the grille and filter and unscrew the metal cover (taking care not to damage the coil’s fins). The video above shows complete steps for disassembling the air conditioner’s cover. 3 Wash the filter thoroughly or replace it with a new filter. Most air conditioner replacement filters are readily available online or at appliance repair shops. 4 Using a vacuum with a soft brush attachment, clean the coil’s fins. Remove all dust and debris. 5 Clean the unit up with a rag, making sure all drains that allow condensed water to drip away from the unit are open. Allow it to dry thoroughly. 6 Lubrication. While you have the unit apart, lubricate the motor and bearings if suggested by your owner’s manual. 7 Finally, reassemble and reinstall the unit in the window. Window and room air conditioners draw a lot of electrical power, which can lead to less than peak performance or even complete failure. 1 Be sure the unit is plugged in and that its switch is turned on. Be sure the thermostat is set to “cool” and below room temperature. 2 Make sure the outlet works using a voltage tester or by plugging in a lamp that works (only for standard-voltage models—do not plug a lamp into a 220/240- volt receptacle!). For more about testing an outlet, see Electrical Wiring Problems. 3 If the light doesn’t go on, the circuit has probably overloaded—check the electric panel or fuse box and reset the breaker or replace the fuse. For more, see Troubleshooting Home Electrical Problems. 4 If the light works, it’s likely that the air conditioner’s switch is faulty or the thermostat needs cleaning or repair. If repairing the thermostat doesn’t solve the problem, unplug the unit and call an air conditioner repair person. If an air conditioner is making too much noise—the problem may be that it has bad bearings, something that is best handled by an an appliance repair person. On the other hand, you may be able to solve the issue with basic lubrication. Please see the video below for more about how to oil or replace the bearings. The very comprehensive video below does a great job of showing you how to troubleshoot a window air conditioner for various problems. It begins with a discussion of how an air conditioner works, and then moves on to various troubleshooting methods and maintenance. We especially like the way he shows how to test whether or not the unit’s thermostat is working, using a multimeter’s continuity tester and an ice cube. Note, though this video discusses fixing a refrigerant leak and dealing with the unit’s compressor, both of which are beyond the scope of do-it-yourself repairs. Again, please take the unit to an appliance repair person.